A sign in front of a home on Park Avenue in Rutland shows the city's attitutde towards drugs and crime. The city is three years in to a community-wide effort to fight opiate addiction. State officials say more heroin is coming into Vermont than ever, and the ripple effects are disturbing. 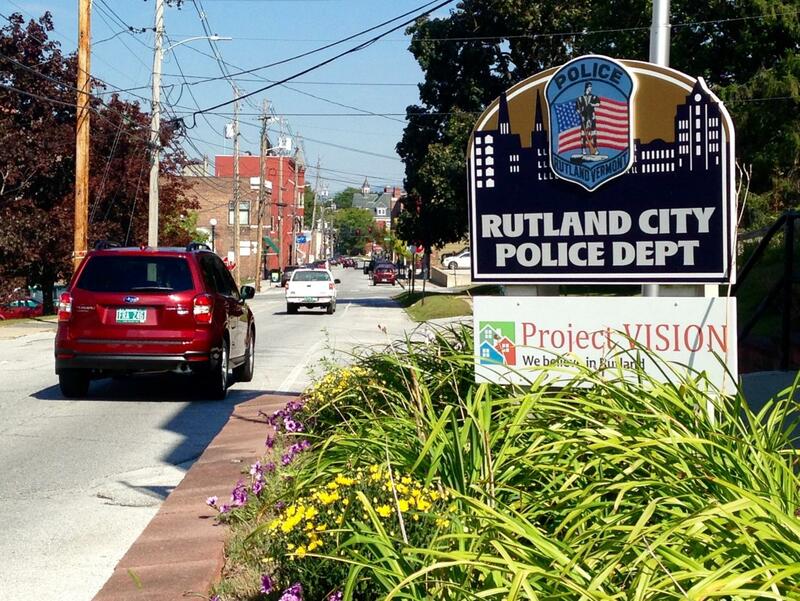 A little over three years ago, Rutland began a multi-pronged, community-wide effort to fight opiate addiction, reduce drug-related crime and reclaim hard hit neighborhoods. But what progress, if any, has Rutland made? The rasping whir of a saw cuts through the quiet in northwest Rutland. Contractor Morgan Overable is replacing the sagging porch on a rundown home on Library Avenue. It’s one of seven properties purchased by NeighborWorks of Western Vermont. The local housing agency plans to renovate and sell them as affordable single-family housing. This story is part of State of Recovery, VPR's week-long look at the progress that’s been made in fighting opiate addiction in Vermont and the problems that remain. Read more here. 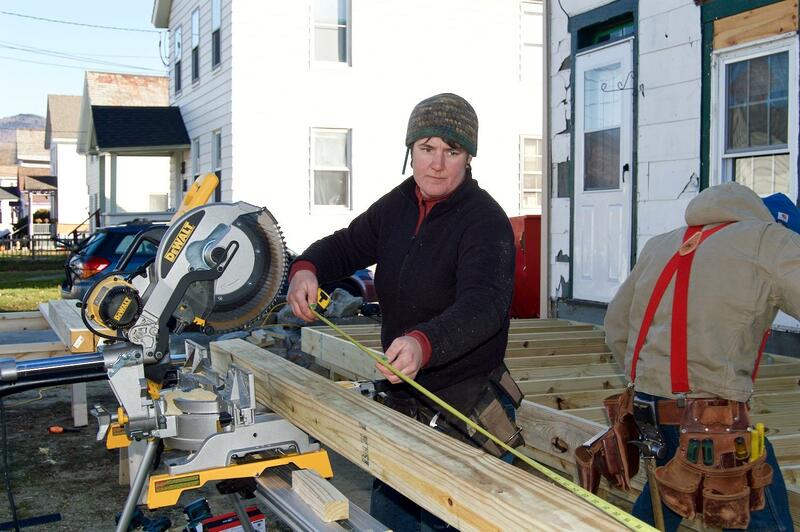 NeighborWorks and city officials have focused intense renovation efforts on a roughly 12-square block portion of the city that’s been especially hard hit by drugs and crime. Only about 29 percent of residents in this part of town own their own homes. NeighborWorks and the city are trying to boost that to 50 percent. Contractor Morgan Overable works on a house on Library Avenue in Northwest Rutland. 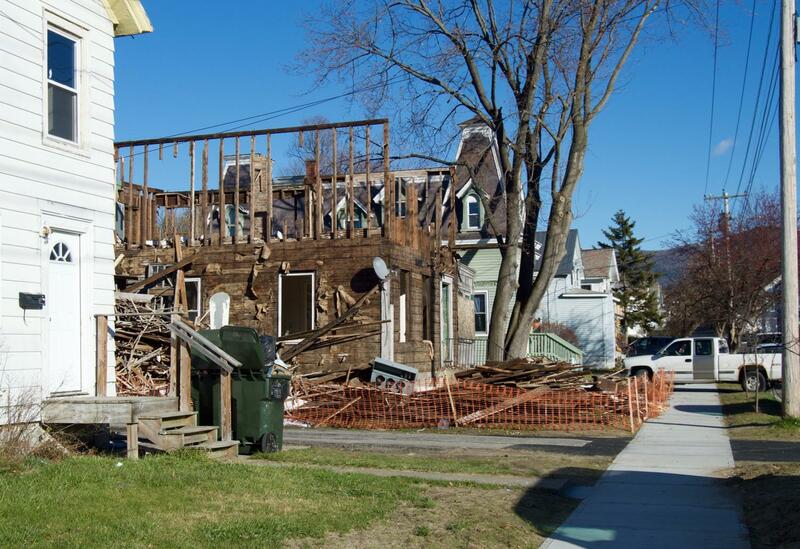 Overable was hired by NeighborWorks of Western Vermont to renovate the house, which will then be sold as affordable single-family housing. Sewers and sidewalks have been repaired; streets re-paved, lighting improved. Green Mountain Power planted 150 trees. Longtime resident Steve McKearin stands on his front porch. “It’s doing a lot better than it was two years ago, three years ago, that’s for sure," he says. A long vacant and blighted property was torn down in northwest Rutland this past year. The Rotary Club and other volunteers plan to erect a playground on the property as part of an effort to reclaim a neighborhood hard hit by drugs and crime. "A lot of drug deals went down on this street," McKearin adds. "You'd see a lot of them and a lot of that's been curbed." He points to a lot three doors down where a long-vacant house is in the process of being torn down. 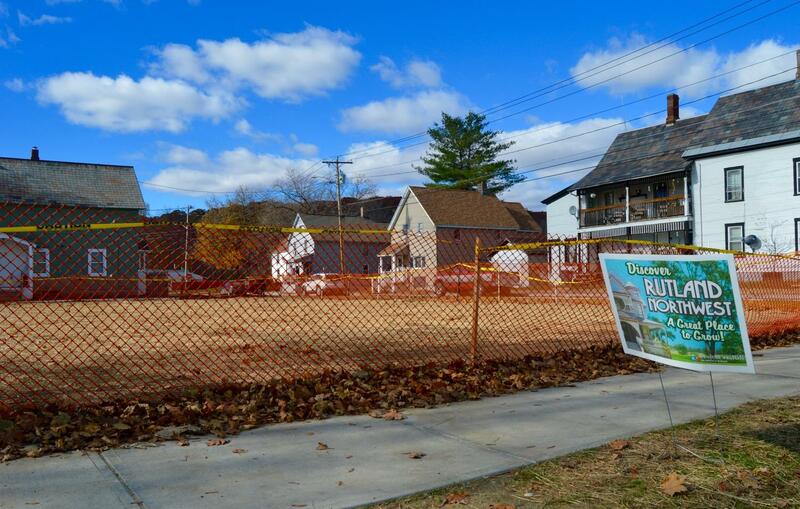 An old building is being torn down to create green space on Library Avenue in Northwest Rutland. It's one of four blighted properties being removed to reduce crime and improve the neighborhood. McKearin and other neighbors say they’ve seen more police on the streets and believe crime is down because of it. Rutland City Police Commander Scott Tucker says crime in Rutland is down. In the last two years, burglaries in Rutland have dropped 60 percent, while thefts, including shoplifting, are down 45 percent. Noise and disorderly conduct complaints have also declined in the last two years. In that same time period, treatment options for opiate addiction have greatly improved in Rutland. About 750 people are now able to get drugs such as methadone and Suboxone that reduce opiate cravings – treatment that wasn’t widely available in Rutland before. Bradley GoodHale, a crime analyst with the Rutland City Police Department, says that's played a huge role in reducing crime. “We see those 750 no longer have to commit crimes to feed their addictions because they are now getting treatment," he says. 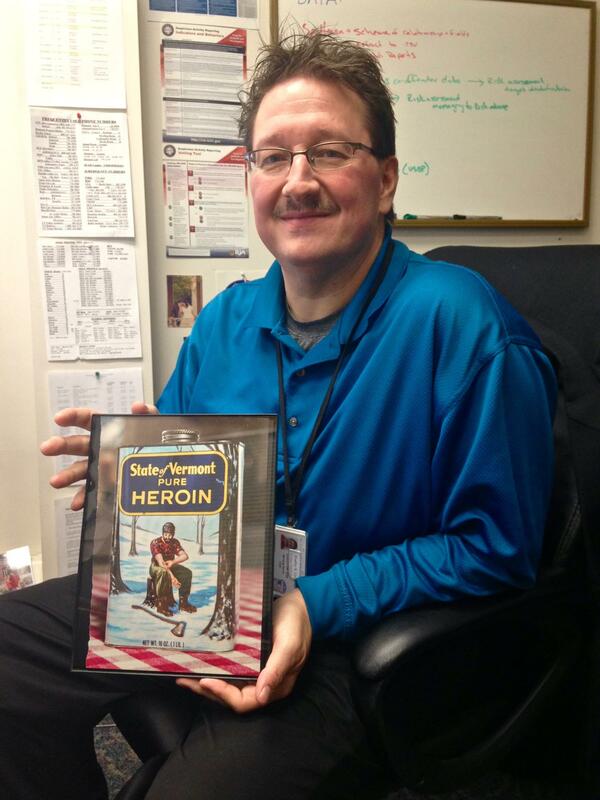 Bradley GoodHale, a crime data analyst with the Rutland City Police Department, keeps a framed a copy of a controversial Rolling Stone Magazine cover in his office. He says the magazine's story about Vermont's heroin problem motivated him to fight back. Local police say they've also changed their approach to drug offenders. Before 2012, Scott Tucker says police were trying to arrest their way out of the drug problem. “The message that we give out today is that when we are focused on an offender who has created chaos in a neighborhood, we're giving him the message that this community is a caring community. There are resources available if you want to get help to get off your addicted lifestyle." But Tucker says they make it very clear to offenders that drug trafficking will not be tolerated in the city any longer. He says staff from Rutland Mental Health, the local women’s shelter, state’s attorneys office and corrections department now have personnel embedded in the police department. Tucker says their input, plus more calls from the community, are helping the police better identify, address and track crimes in the city. 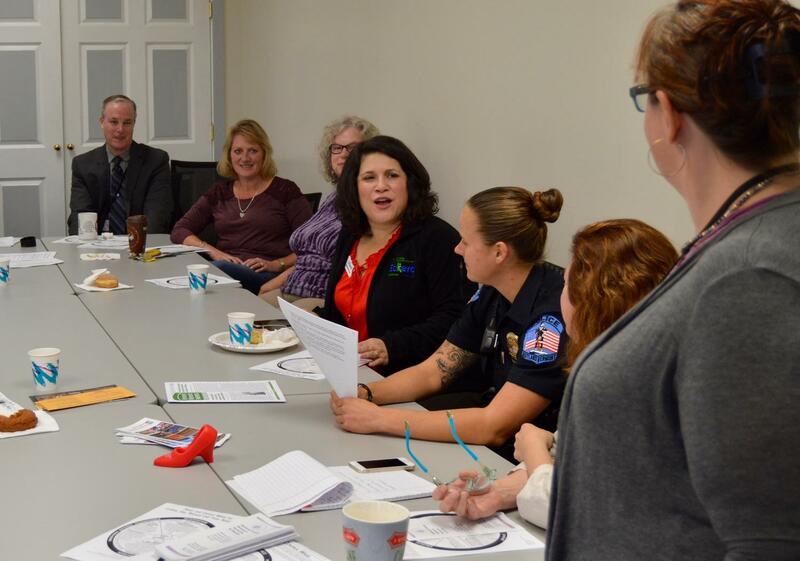 Staff from Rutland Mental Health, the local women's shelter, the state's attorneys office and the corrections department now have personnel embedded in the Rutland Police Department. David Kennedy directs the National Network for Safe Communities at John Jay College of Criminal Justice in New York City. He consulted with Rutland, and says lots of cities offer treatment programs and try to improve troubled neighborhoods. "What is unique about what Rutland did is it stepped back and looked very deliberately at the functioning of how Rutland was now a persistent regional heroin distribution hub," Kennedy says. And he says at this point, "It looks like Rutland has made a very very serious dent in it. Things are a lot better," he says. But Kennedy believes this approach wouldn’t have worked had Rutland not expanded its treatment options at the same time. 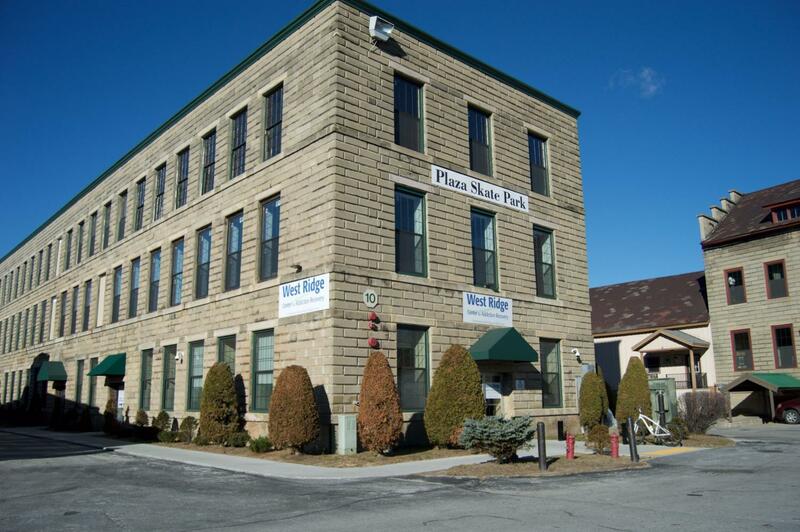 West Ridge, Rutland's long-awaited methadone clinic, opened in November, 2013. Today more than 400 recovering opiate addicts receive treatment there. Before the clinic opened, those who wanted this type of drug therapy had to travel to other parts of Vermont to get it. Besides reducing crime, doctors say better treatment options in Rutland are slowing the spread of infectious diseases like HIV and hepatitis. And they say the number of pregnant women with opiate addiction in Rutland has dropped significantly. But more is still needed. There’s a waiting list for methadone, and not enough doctors in Rutland prescribe Suboxone – which can be labor intensive to prescribe effectively. Jennifer Stout is the state director of Eckerd, a nonprofit agency that provides family coaching for parents with children in state custody. She believes Rutland needs more in-patient residential treatment centers so that parents who are trying to get clean can stay near their children. Jennifer Stout, center, is the state director of Eckerd, a nonprofit that provides family coaching services in Rutland. Stout says she regularly attends community coffee klatches at the Rutland Police Department. Stout and other participants say these types of meetings have helped agencies share information and strategies to tackle drug abuse, crime, mental health problems and domestic violence. She says Eckerd's Rutland offices currently work with more than 50 families, nearly all of whom are battling addiction. Stout says the waitlist for their services is growing. And, from her perspective, so is the city’s heroin problem. “Well, it’s probably the newest high we’ve ever seen with people addicted to heroin and other drugs like crack and meth,” she says. Despite that, Stout believes Rutland's efforts to fight addiction as a community are helping. Joe Kraus leads a Project Vision Meeting in November. While there's plenty of chit-chat and laughter at the monthly meetings, committees tackle tough problems having to do with policing, neighborhoods, employment, housing and addiction. Project VISION is a grassroots effort that formed more than three years ago in direct response to the heroin crisis. 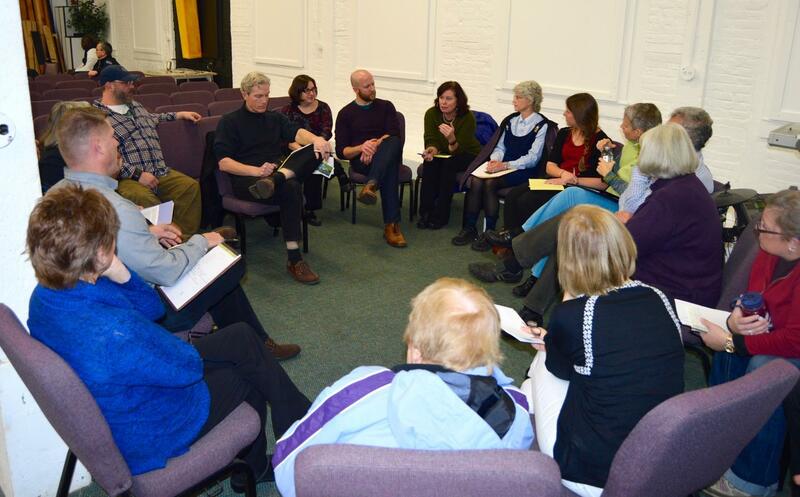 Its nearly 300 members include: local officials, law enforcement, nonprofits, neighborhood activists, service organizations and church groups – pretty much anyone who wants to make Rutland better. 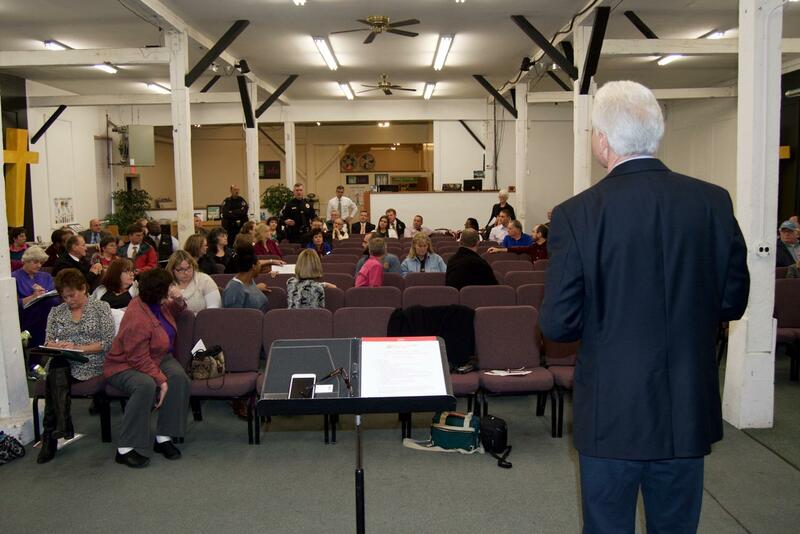 Sixty to 80 people regularly attend the monthly meetings. While there’s plenty of chit-chat and laughter, committees tackle tough problems having to do with policing, neighborhoods, employment, housing and addiction. Bradley GoodHale meets with members of the law enforcement committee and explains how college interns are helping to make crime data available to police in real time. He presents end-of-year statistics that show the city has met Project VISION's goals for reducing drug related crimes. But he admits aggravated assaults, including domestic violence, are up. “So now we’re looking at, can we take the model that we’ve used to help drive down the crime numbers related to heroin addiction? To drive down the violence numbers? And that’s something we’re working on now," he says. Patricia Lancaster, a former public defender in Rutland, likes how Project VISION brings so many people together. “To be able to come somewhere where you know the guy next to you has different politics than you, but wants to see revitalization and believes that maybe this really is something that can work – it’s really powerful," she says. Mary Cohen, a housing advocate with NeighborWorks of Western Vermont, talks with fellow Project VISION committee members about ways to make Northwest Rutland more inviting to homeowners. Rutland Mayor Chris Louras says the fact that people remain so committed to Project VISION and its mission is powerful. But he admits the city’s fight against addiction and its ripple effects will be a marathon, not a sprint. Other communities in and out of Vermont are taking note of Rutland’s approach and the positive impact it’s had. City officials spoke at FBI headquarters in Washington, D.C., and at a conference in Chicago hosted by the International Association of Chiefs of Police. Louras has spoken to the state legislature in New York and says Massachusetts lawmakers have also expressed interest. As the heroin problem in Vermont has affected more and more families, communities across the state are responding by increasing treatment options for those afflicted by addiction. Gov. Peter Shumlin on Tuesday announced a program to treat opiate addiction in newly released inmates. Sunday, hundreds of people, many tottering on red high heels, are expected to take part in a special fundraising walk in downtown Rutland.